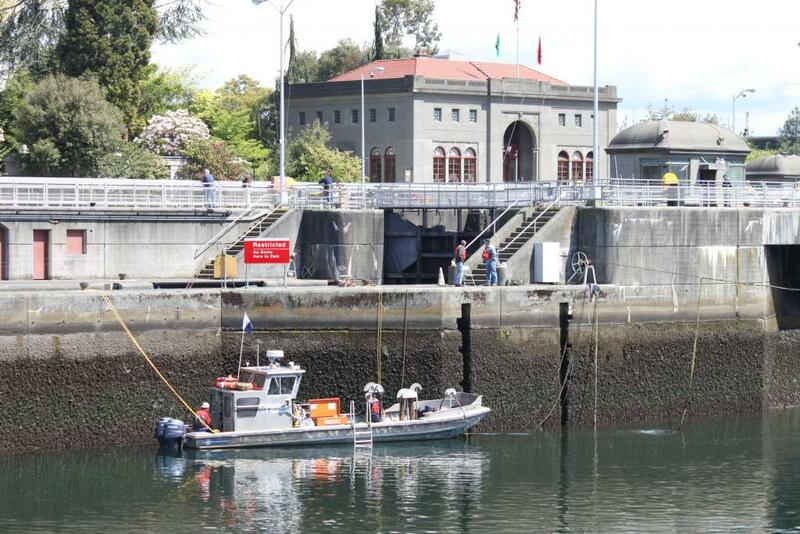 Hiram M. Chittenden Locks - Emergency Scour Inspection - Global Diving & Salvage, Inc.
After an inspection dive performed by US Army Divers identified a large area of scour on the outer wall of the locks, Global installed permanent points on the wall to base measurements off of. The reference points will enable future measurements to be made identifying additional scour. A handheld sonar was also used to create a visual image of the existing scour.